This is a well-composed set not to mention it is a great deal (so the justification begins...). The set contains a full size Almost Lipstick Black Honey, High Impact mascara (mini), A Different Enamel Black Honey (mini) and a small tube of Black Honey Superbalm Moisturizing Gloss. 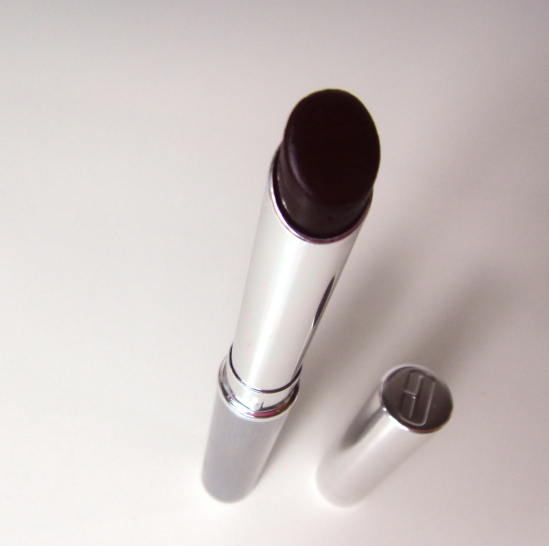 It is almost impossible to capture the true color of the lipstick as it comes out so dark no matter what. I mean, it does look super dark and intense from the tube that you wouldn't imagine the color is so sheer actually. Black Honey is famous for being a universally flattering shade while appearing slightly different on each person. On me, it is ultimately a warm red with cool brown undertones. I find it amazing that I can pull off this shade only because of it's unique formulation and color payoffs. I would make sure to steer away from it if it was in full color strength. 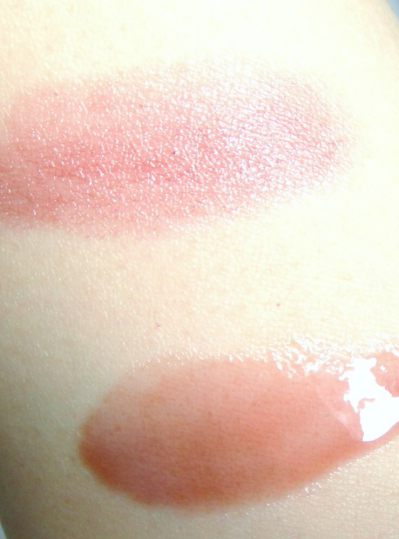 This lip swatch is kinda terrible due to my badly chapped lips. Black Honey is a beautiful color but it is not perfect. It will somewhat accentuate the dry spots. 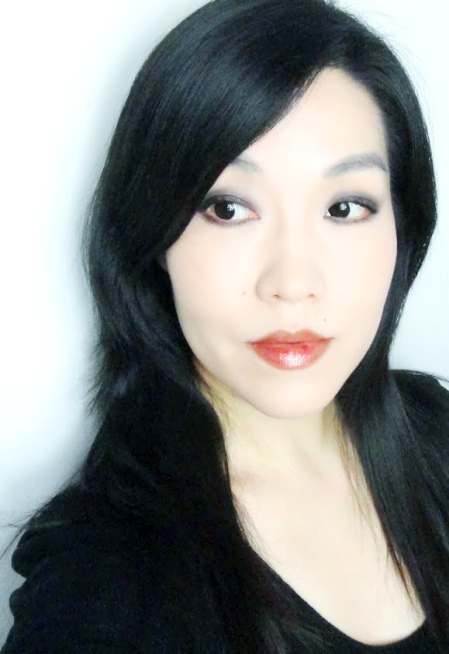 Here I am wearing the gloss very lightly over the lipstick. Since it is such a sheer gloss, it does not add any color but my lips look and feel better. Clinique Black Honey is perfect if you want to wear deeper shade but always feel awkward wearing full color lipsticks. The sheer color and the balmy texture let your natural lip shade show through adding subtle depth and sophistication to the whole look. I myself is quite happy to have this gem again along the other Black Honey family members. 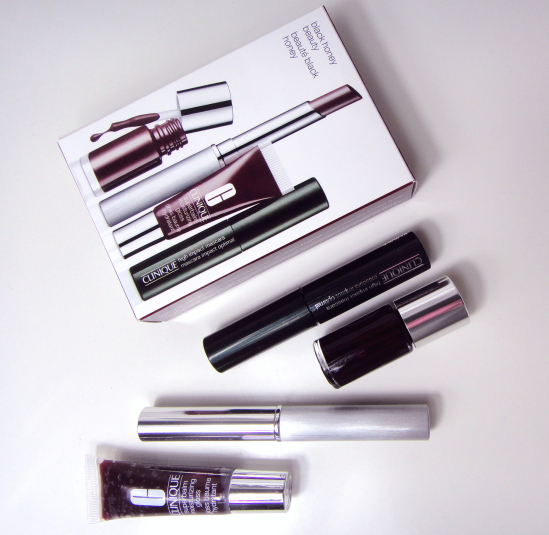 The set is an exceptional value ($25) although I don't like the High Impact Mascara which has very little impact on me.